Samsung Galaxy Tab A 10.1 (2016). 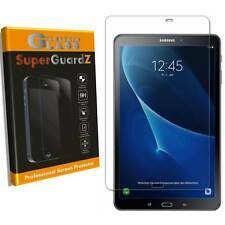 SuperGuardZ® Tempered Glass Screen Protector For. 9H Hardness. Even objects such as knives and keys will not scratch tempered glass. Shatter Proof Glass: if broken, the tempered glass breaks into small pieces that are not sharp, making it safer than other glass products. Specialized to perfect fit with the Samsung Galaxy Tab A 8.0 2017 /T380 /T385 and no cutting required. Samsung Galaxy Tab A 8.0 2017 /T380 /T385. High quality anti glare matte screen protector Repels dust, Removes glare, and finger prints. Protect your LCD screen from dust, scratches, fingerprints, grease, etc. Compare normal screen protector, it is more safety, even objects such as knives and keys will not scratch the tempered glass. 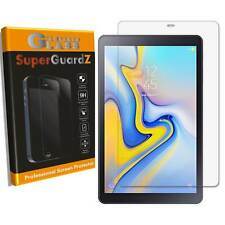 SuperGuardZ® Tempered Glass Screen Protector For. 9H Hardness. Even objects such as knives and keys will not scratch tempered glass. Shatter Proof Glass: if broken, the tempered glass breaks into small pieces that are not sharp, making it safer than other glass products. Specialized to perfect fit with the Samsung Galaxy Tab A 10.5（2018）T590 and no cutting required. Samsung Galaxy Tab A 10.5（2018）T590. High quality transparent clear screen protector Repels dust, Reduces glare, and finger prints. Whole Transparency: The protector is 0.33mm thick and made with chemically treated, transparent tempered glass from Japan. One(1) Tempered Glass Screen Protector( NOT INCLUDE A PEN ). The Dooqi Tempered Glass Screen Protector Kit Includes. High quality anti glare matte screen protector Repels dust, Removes glare, and finger prints. The Dooqi Matte Screen Protector Kit Includes THREE (3)Matte Anti-Glare Screen Protectors. If you have any problems, we are very glad to help you. ZenTech® Tempered Glass Screen Protector For. Why Buy From ZenTech® Premium screen protector: Made of highest quality optical-grade tempered glass. 9H Hardness. Even objects such as knives and keys will not scratch tempered glass. Whole Transparency: The protector is 0.33mm thick and made with chemically treated, transparent tempered glass from Japan. 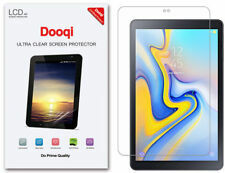 The Dooqi Tempered Glass Screen Protector Kit Includes Delicate Touch: The protector is coated on the back with a strong silicon adhesive that makes installation easy and attaches the film firmly so as to not affect the touch screen's sensitivity. 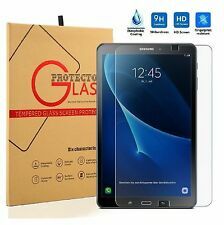 AmFilm Premium Glass Screen Protectors are made from superior quality tempered glass, and specifically designed to fit your Samsung Galaxy Tab S4 device. These Glass Protectors provide an ultra-clear, natural viewing experience with 99.9% screen transparency and fingerprint/smudge reduction. High quality transparent clear screen protector Repels dust, Reduces glare, and finger prints. The Dooqi HD Clear Screen Protector Kit Includes THREE (3) HD Clear Screen Protectors. High quality multi layer Polyethylene (PET) Film.